Pilgrims have made their way to Rome since the dawn of Christianity. In addition to its primary role as a seminary, the Irish College has welcomed and assisted visitors from Ireland and beyond since its foundation in 1628. The College is pleased to continue to serve as a centre for pilgrims from Ireland and beyond. 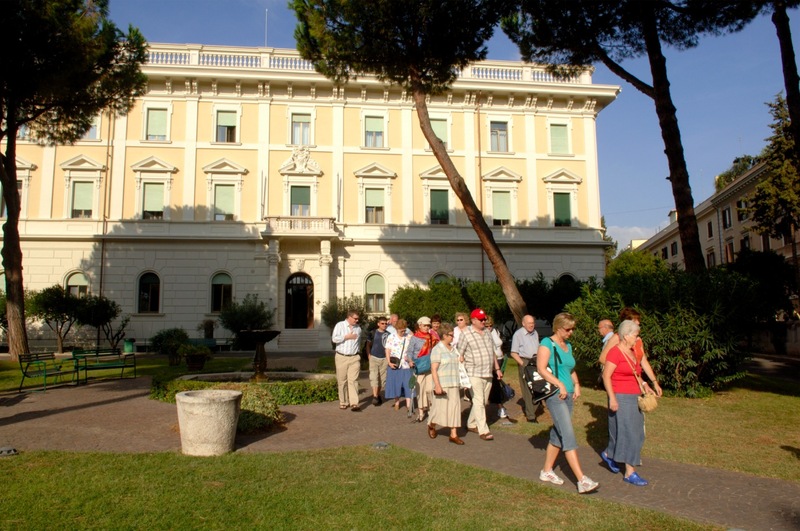 Visitors to Rome are very welcome to join the Irish College community for Mass in English each Sunday morning at 10.00. After Mass you are invited join us for cup of coffee and an opportunity to chat to the members of the College and other guests.